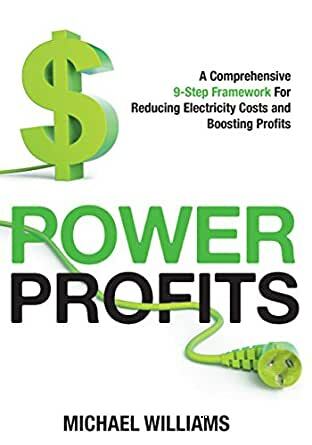 Power Profits demystifies the electricity market from the perspective of an electricity user and shows you how you can use that knowledge to reduce costs by up to 30-50%. This book explains the Australian National Electricity Market and how it operates from an end-user perspective and sets out a concise framework for you to follow to make significant and immediate electricity cost savings for your business. This is an important and powerful book. It lifts the lid on the complexities of the electricity market and explains them in terms that most business or high volume electricity buyers will understand. If the principles taught in the book are followed, Australian businesses could save millions of dollars in electricity, reduce untold amounts of wasted energy, and dramatically cut down environmental damage. Step 1 of Williams' framework is for the business to form a stakeholder group and to develop a strategy. I would add that every large business needs to ensure that those involved in the procurement and use of electricity throughout their operations gets a copy of the book and reads it. He makes it clear that what happens during the electricity price negotiation phase isn't all that matters. The impacts of operations in between and the unnoticed leaks of both energy and money are critical in keeping costs down. And while small businesses may find a lot of the book irrelevant to them, it is still worth reading to get an understanding of the energy efficiency and solar options available. For anyone who is serious about taking back control of their energy costs, this is the book for you. Michael has revealed the hidden secrets in the energy market which tapped into intelligently can not only significantly reduce your costs but also profit centre. 5.0 out of 5 starsA must read for any business, large or small. A thorough description of how the electricity market in Australia works and an easy to follow 9-step process to help businesses large and small reduce their energy bills without compromising their operations.